At Nomorobo, protecting people and businesses from these and other kinds of phone scams has been our singular focus for the past 6 years. We won the FTC Robocall Challenge in 2013 and launched our service based on Twilio’s platform that same year. Since then, we have built award winning phone security solutions for home phone users, mobile solutions for Android and iOS, and enterprise solutions for call centers, telecoms, and OEMs. Even better is the network effect of Nomorobo. Every new user and phone line that we protect helps us spot robocallers even faster. Every minute of every day, our algorithms monitor millions of calls to spot and intercept bad actors before they have a chance to inflict harm on our users. That said, robocalls continue to be a problem that plagues consumers and businesses alike for one simple reason: They work. With only a minimal investment required, scammers need just a few victims in order to be wildly profitable. It is a complex problem that requires involvement by all of the stakeholders in the communications ecosystem, such as telecommunications carriers, public policy officials, and other vendors that enable communications. And while robocalls will be a thing of the past someday, we at Nomorobo feel that more can be done immediately to protect Americans from illegal, unwanted robocalls. 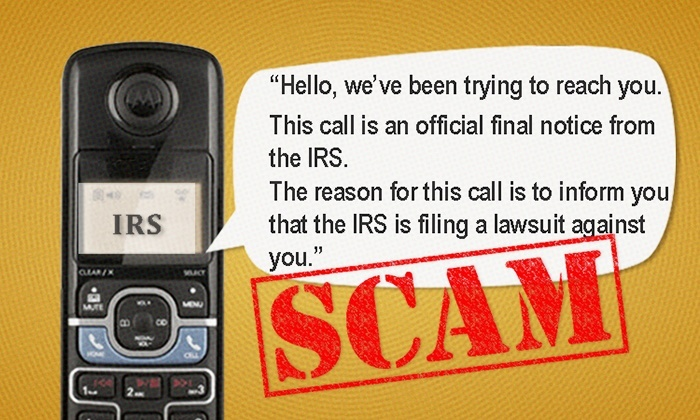 With that in mind, beginning today, Tax Day, we’re making our real-time feed of IRS call-back scammers available for free. We’re hoping that all phone companies will use this data to help end one of the most notorious and dangerous robocall scams of all time. If we work together, consumers can experience a small break against what is annually one of the world’s worst periods for robocall scams. None of this will cost consumers anything, nor will carriers have to pay for access to the list. By working together with the carriers and other stakeholders in the communications industry, we are confident that the robocall epidemic can ultimately be stopped. It will take time, technology, and cooperation. This latest initiative encapsulates all three of those aspects and will bring some immediate relief not only to consumers, but also the IRS itself, who is also a victim of these scams. For more information on this effort, please go to nomorobo.com/irs.